My wonderful in-person critique group celebrating the release of my first picture book with me! After singing the praises of critique groups, I think it’s only fair now to offer a few tips on how to find a good critique group. After all, finding a critique group can be daunting, especially for a new writer who has been spending most of her/his time writing in isolation. At least, that was my experience as a new writer. Look inward. First, decide what you want out of a critique group. Do you want an in-person group or an on-line group? Do you want a genre-specific group (i.e. 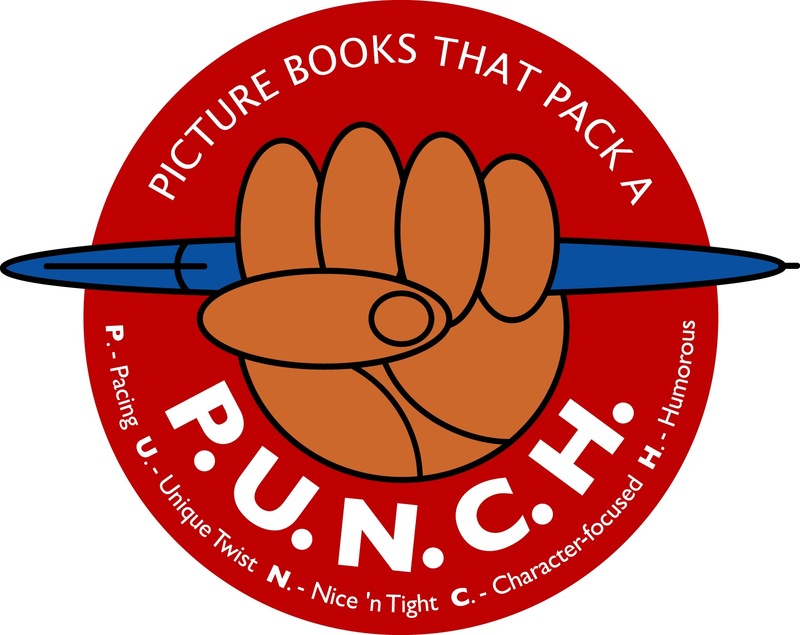 picture books or poetry, YA or MG etc) or would you like a mix of genres? How much time are you willing to spend per week/month writing critiques? How often do you want to be responsible for submitting work? How big or small do you want the group to be? Network, network, network. Once you have a sense of what you want from a critique group, you can use your social networks (on-line and in person) to see if anyone you know is part of a group. If so, is that group open to new members? Another good strategy is to be pro-active at conferences to see if anyone is in a group that is interested in new members. The SCBWI blue boards also have a thread devoted to critique groups seeking new members so that’s another possible venue to tap. Finally, check your local library and book stores to see if they have groups that meet there. Give it a try. Once you have done all of the above, it might be time to take the leap and give it a try! If you feel it is the right step for you, apply to the group that sounds best for you. Thanks for checking out these tips! I hope you will find, as I have, that being part of a critique group makes all the difference in your growth as a writer. Happy writing, all! But what would my top tip be? Hmmm… there are so many possiblities. Writing daily, reading voraciously. Attending conferences. Yes. But I guess if I had to pick one top tip for aspiring writers, it would be to join a critique group. Often when I chat with newer writers, I discover they’ve been writing in isolation. And very often the manuscripts they share would benefit from several more rounds of revision. As a new writer, I, too, was guilty of writing in quiet isolation, never sharing my work in progress with anyone (except maybe my husband or mother) and consequently sending pieces to publishers far too prematurely. It wasn’t until I started sharing my work with a handful of trusted critique partners that my writing really improved. Joining a critique group also got me connected with other writers eager to learn and grow and succeed. In fact, I would go so far as to say that being part of various critique groups over the years has made all the difference in my love for this writerly journey. Here then, with gratitude to my awesome, trusted critique buddies, are FOUR wonderful perks I’ve enjoyed by participating in critique groups. 1. COMMUNITY SUPPORT: Writing can be lonely and the intricacies of the publishing world are certainly confusing. What a blessing it has been to be part of various critique groups that have included both new and seasoned authors, all eager to support and encourage each other, providing advice and insights along the way. 2. FRIENDLY ACCOUNTABILITY: Most critique groups have rules for submitting and sharing work. Members are expected to abide by those rules and are kept accountable by the other members in the group. My current online group, for example, has seven members and we each take turns submitting one manuscript per week. My in-person group meets monthly and we all bring something to share. I can’t tell you how many times I’ve been tempted to set a story aside because I’m stuck over some sticky wicket, but instead I’ve pressed on. Why? Because my critique group was counting on me (and cheering me on) to produce a presentable draft. 3. FRESH EYES AND FRESH PERSPECTIVE: I am grateful for the honest, thoughtful feedback I’ve received from my critique partners. Indeed, there’s nothing like fresh eyes on your story to give you much needed perspective. I must confess, however, that I have grown as a writer, just as much, if not more, from giving feedback to others. Sometimes it’s easier to see what is and isn’t working in someone else’s writing. And if you can articulate that for your critique partner, you not only help them, but you can most likely apply that feedback , or some variation of it, to your own writing. 4. DEEPER UNDERSTANDING OF YOUR GENRE: Finally, participating in a critique group offers members a chance to gain a deeper understanding of their genre. This happens quite naturally as you read and respond to each others’ work. For example, when critiquing each others’s work, members in my groups will often suggest helpful titles to read, perhaps pieces that follow a similar structure, or that have a similar theme. Through this process of feedback and discussion and reading suggestions, our understanding deepens and our skill improves. Now it’s your turn. What critique group perks have I missed? I’d love to hear your thoughts in the comments below. Happy reading, writing, and critiquing all! P.S. Stay tuned for a follow-up post on how to find a critique group. Don’t expect your boat to float overnight. When I first got the idea for GOODNIGHT, ARK my mind whirred with possibilities. Which animals would be scared of what? How would they get to Noah’s bed? And how would Noah ever comfort them and return them to their bunks? I knew early on that I wanted to write the story in rhyme but finding the perfect meter and line length did not come easily. So I played around with plot and form again, and again, and again. Each time I finished a draft, I’d put it away and work on other things for several weeks so I could see it with fresh eyes. I repeated this cycle for two years and each time the story improved so much that it ended up with two offers! That experience has taught me not to worry about how long a story is taking me to write. Instead, I relax and let creativity work at its own pace until my stories are buoyant and ready to set sail. Every ARK needs an ARC. Even with all that revising, my agent thought the initial version of GOODNIGHT ARK I sent her was too quiet. In that early version, the storm escalated and animals kept piling in, but there was no sense of rising action or urgency in resolving the night-time pile up. Except for the fact that the animals changed, the scenes were essentially static. In other words what the ark needed was an arc! The story still needed to be soothing for littlest readers, so I knew any tension/ rising action I infused had to be playful and fun. It took many hours of writing and re-writing, but I hope readers will agree that the final version with its ark tipping, bed crashing buildup and stinky, yet ultimately soothing, resolution is anything but static. I now analyse all my stories for effective rising action, climax, and resolution early on in the writing process. One way I do this is by making a 32-page dummy. That way it’s easy to see if your scenes are static as they build across 14 – 15 spreads or if there’s a sense of rising action etc. Plus, it’s a lot of fun, especially if you have little ones at home who like illustrating your dummies! Don’t overload the decks. Noah’s ark was sturdy and well-planned with three decks, but though Noah may have been tempted to bring aboard extra animals, thank goodness, he showed restraint and took only two of each. Overcrowding would have put a strain on provisions. Worse yet, the ark might have capsized! Likewise, as a writer, I’m sometimes tempted to overcrowd my story with cute phrases and details that only weigh down the plot. During early stages of a project, I don’t worry about overwriting. My goal at that point is simply to build my story. Before I let it out of the port, however, I make sure to streamline the plot so every word and event pushes the story forward. Everything’s better with a buddy. Noah didn’t try to build the ark all alone. His family cheered him on and pitched in with the building, providing much needed moral support amid the taunts and jeers of the onlookers. Likewise, I’ve found that the long, hard journey to publication just wouldn’t be the same without a nice support system. For me this includes my family, my lovely agent, and the wonderful network of like-minded children’s writers I’ve connected with over the years, many of whom have become dear friends and trusted critique partners. So, my last bit of ark-themed advice for staying afloat and giving your stories a floating chance, is to find a writing buddy or two to join you on the journey! 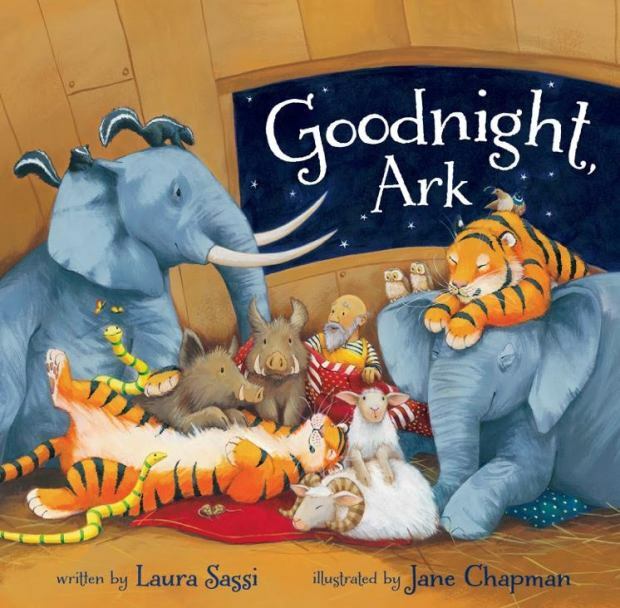 Don’t forget to enter the GOODREADS GIVEAWAY for a chance to WIN ONE OF FIVE COPIES of the board book edition of GOODNIGHT, ARK. Press HERE to enter. GIVEAWAY ENDS August 4th. 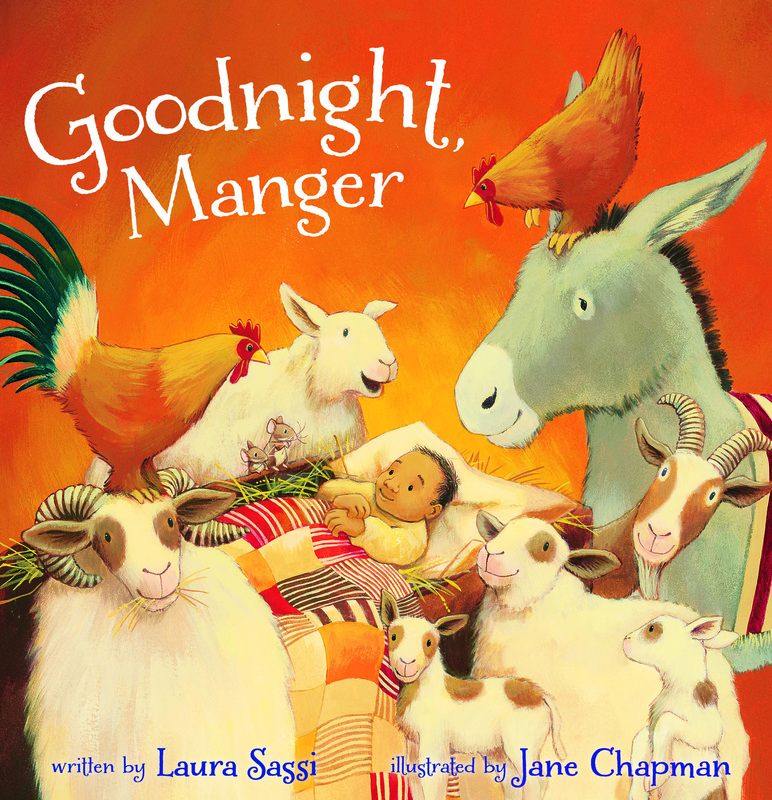 Please join me in welcoming guest blogger and picture book author Penny Parker Klostermann. Penny and I met at the Poets’ Garage, an online critique group dedicated to critiquing poetry. I quickly grew to love her excellent metrical ear and her wonderful sense of humor. Her debut book, THERE WAS AN OLD DRAGON (Random House), will hit shelves everywhere in Fall 2o15. In the meantime, I know she’s busy writing up a storm and I’m tickled that she has agreed to write a post. Take it away, Henny, I mean Penny! Don’t get lured into a fox’s den. Well maybe not the last one, but the first three were perfect for a blog post. But then I started thinking about why I even remembered this story from childhood. The most obvious was because my name is Penny. To be exact, my name is Penny Len. Often I was called Penny Lenny which is so close to Henny Penny ☺ But I loved the other characters names, too. They were so silly and fun to say—Cocky Locky, Ducky Lucky, Goosey Loosey, Turkey Lurkey and Foxy Loxy. So, I decided to let the characters lead the way and use their silly names to talk about a few things I have learned related to writing picture books. Cocky Locky-I shouldn’t be cocky about my writing. I shouldn’t think my first draft is perfection. My first draft isn’t anything more than a first draft. I may feel like it’s a genius story when I write the last word, but really the manuscript is just starting its journey to possible geniusness ☺ On the journey I must be willing to sift through structure and plot. I must be willing to examine each sentence and each word and then revise. I must be willing to listen to my critique partners, which is an essential step in my writing process. They keep me from being cocky. They point out what is working and what is not. I must not get defensive as I read their comments. I must learn from them in order to improve my manuscript. Cockiness will get me nowhere. Ducky Lucky-Some say that luck is involved in publishing. Maybe it is to a small degree. But I, for one, don’t want to rely on luck. I’d rather take advantage of the resources provided by SCBWI. I’d rather take writing classes and attend conferences. I’d rather follow blogs that talk about all things writing. I’d rather read in my genre and study mentor texts to benefit my writing. I’d rather be writing, writing, writing. Yep! I’d rather rely on hard work than luck. Goosey Loosey-I need to make sure my text doesn’t run loose. I write picture books, after all. I need to make every word the best word choice. I need to cut text that will be evident in the illustrations. I need to keep a tight rein on my text. As a writer I tend to read picture books with a critical eye. Not in a criticizing way, but in a learning way. I notice when the marriage between text and illustrations works well or seems off kilter. I know I can’t tell my illustrator what to draw, but I think my best bet of ending up with a perfect marriage that will celebrate many anniversaries on shelves is to think through every word as I write my manuscripts. I want to do my best to pave the way for the illustrator to tell their part of the story by keeping my text tight and not loose. Turkey Lurkey-Writer’s who want to get published can’t just lurk. With the Internet and the abundance of social media, it is very easy to feel a part of the writing world without doing a lick of writing. I can read about writing 24/7 if I choose to. There are plenty of free resources so it’s easy to sit back and lurk instead of spending time with my keyboard. I’m not suggesting that I isolate myself but rather find a healthy balance. I guess it can be likened to eating healthy and counting calories. They say if you really want to know what you’re eating you should keep track of it and make better decisions based on your habits. I know some days I get in WAY too many Internet calories. So I must be aware of this and load my plate with plenty of keyboard time, making sure my portion of lurking isn’t throwing my writing diet askew. Foxy Loxy– Foxy was hungry. Foxy was foxy. And Foxy was pretty smart, too! He took in the landscape around him and considered it as he made his move to get what he wanted. I want to be somewhat like Foxy. Not that I want to eat a rooster, a duck, a goose, and a turkey . . . but I want to take note of my landscape and consider it as I make my moves and write my manuscripts. I can’t ignore what appeals to editors and publishing houses. I need to watch what is going on in the picture book world. At the same time, I can’t listen to the negative things in my head. If I hear the sky is falling due to rejections or the slowness of the industry, I must focus on my hunger and work smart. I must be foxy! And there you have it—the things I halve learned from Henny Penny and her fellow characters as they relate to my writing! Don’t let your text run loose. 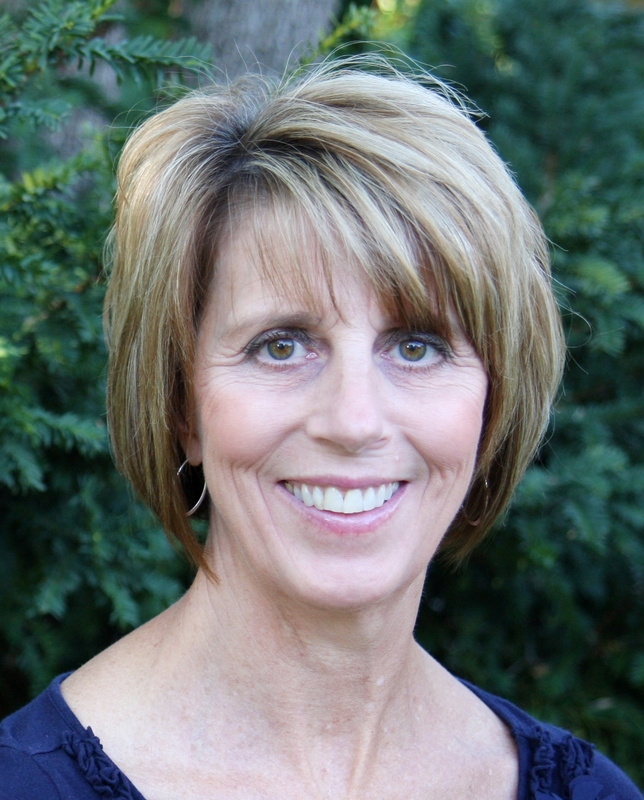 Penny Parker Klostermann writes picture books and poetry for children. Her debut book, THERE WAS AN OLD DRAGON, is coming from Random House Children’s, Fall 2015. Penny has been known to hug her favorite picture books and seriously hopes that someday her books will gain huggable status too. Last week I typed my agent a quick email explaining that I was sending along a new manuscript that I thought would be perfect for a particular editor. The note was written in present tense, but in my haste to type “I think”, I omitted the “h”. In that instant, auto-correct changed my “tink” to “tinkle”. My note now read, “I tinkle this story would be perfect to send to….” Luckily, I noticed the error before pressing send. Still, that “tinkle” got me thinking about the critique process and what our roles as critiquers should (and shouldn’t) be. To my way of “tinkling” there are two types of critiquing: prescriptive and diagnostic. Prescriptive critiquing is all about finding errors and fixing them. This mode works well for catching and correcting grammatical errors and misspellings. It’s also useful for pointing out and correcting factual errors or accidental word omissions. All of the above are fairly cut-and-dry issues. I appreciate these types of prescriptive notations within a text. The problem is that sometimes, like auto-correct, there is a temptation to impose our voice on the pieces we are critiquing. This is a great disservice. Each person has a distinct way of expressing themselves and the goal of critiquing should be to help them make their voices shine, not ours. The solution: be diagnostic, not prescriptive. Diagnostic critiquing is all about helping writers strengthen their pieces by making observations and asking questions without prescribing specific solutions. Diagnostic critiquers look at over-arching issues such as character development, arc, tone, voice. Because their role isn’t to “fix it” they are free to point out areas where the text isn’t working, perhaps brainstorming general ways in which the writer might resolve the issue. In rhyming texts, for example, a diagnostic critiquer might point out where the rhyme seems forced. She might even suggest possible alternatives, but never with the goal of prescribing word-for-word solutions. Rather, her goal in critiquing is to get the other person’s creative juices flowing, so that the writer can take that piece to the next level. I strive, I hope successfully, to be a blend of the above, prescriptive when appropriate, but mostly diagnostic. I also make a point in every critique to point what is working, so that my suggestions/ observations are tempered with encouragement as well. What about you? What kind of critiquer are you? And what kind of critiques do you find most helpful? UPDATE: My “tinkling” got the talented picture book author, Iza Trapani, “tinkling” about critiques too! 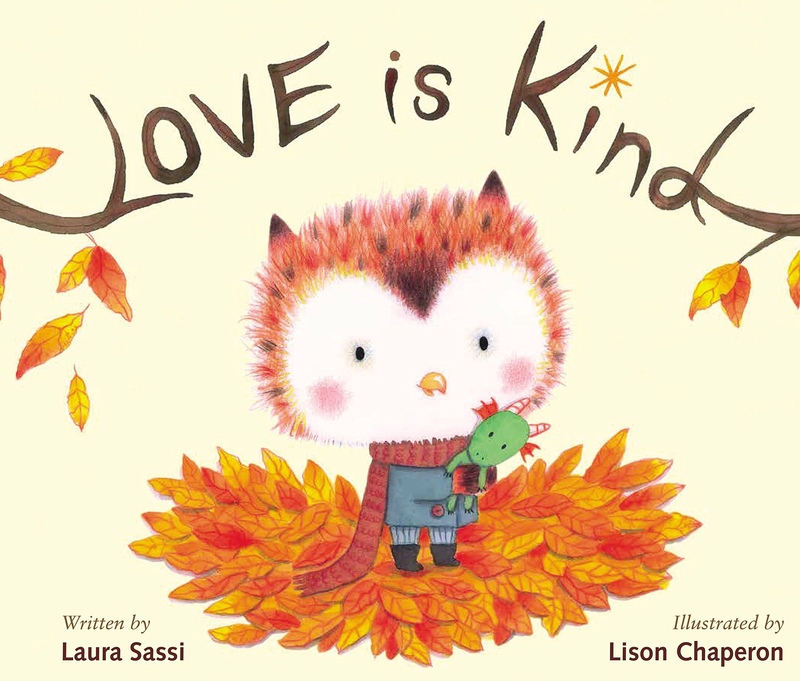 So, pop on over to her blog post: “Critiquing a Picture Book”. Thanks for continuing the conversation, Iza! 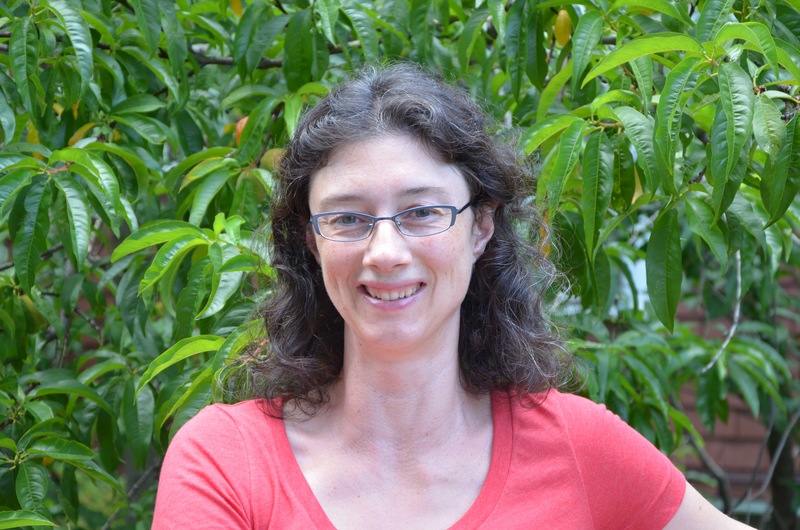 Today I am delighted to have fellow Poets’ Garage member Carrie Finison as my guest blogger. Like me, Carrie is passionate about poetry and rhyming. I also recently discovered that we share another love – berry picking. Take it away, Carrie! When it comes to berry-picking, I’m a lot like Robert McCloskey’s Sal — one for the bucket, three in my mouth. Recently, I started thinking about the parallels between “berrying” (I’ll invoke my poetic license for that one) and the critique process. You have to look hard to find the best berries. Good berry patches are often hidden. But once you discover them you can go back year after year. Similarly, it takes time to find quality critique partners. 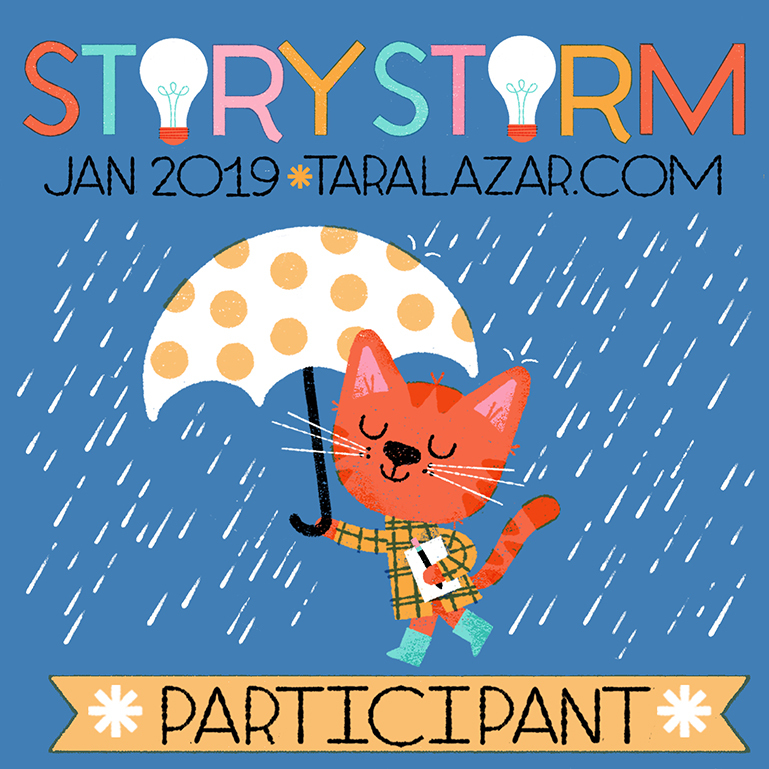 I’ve gathered mine in several places: community education classes, SCBWI conferences, Verla Kay’s Blueboards, and online challenges like Tara Lazar’s Picture Book Idea Month and Julie Hedlund’s 12×12 Picture Book Challenge. Some berries (and critiques) are sweet; some are sour. Like berries, some critiques ooze sweetness. Some are so sour your lips pucker. The best critiques are a mix of the two — they blend encouragement and specific comments on strengths with constructive criticism and suggestions for improvement. And they taste just right. Sometimes you must guard against prickles when harvesting critique comments. Nobody understood the scene you loved. The words you carefully selected were deemed “bland.” Your main character was not likeable. But press on through these thorns, and learn from them, and your work will be stronger – and you might learn some tricks for avoiding prickles the next time. Berries are delicious when they’re ripe — but can be inedible when picked too early or too late. I’ve found that my manuscripts also have a ‘right time’ for critiquing. If it’s too early, the comments focus on issues I knew were problematic and should have fixed. If I wait too long, it gets harder to scrap my precious words in favor of another approach. Take care of your berry patch. 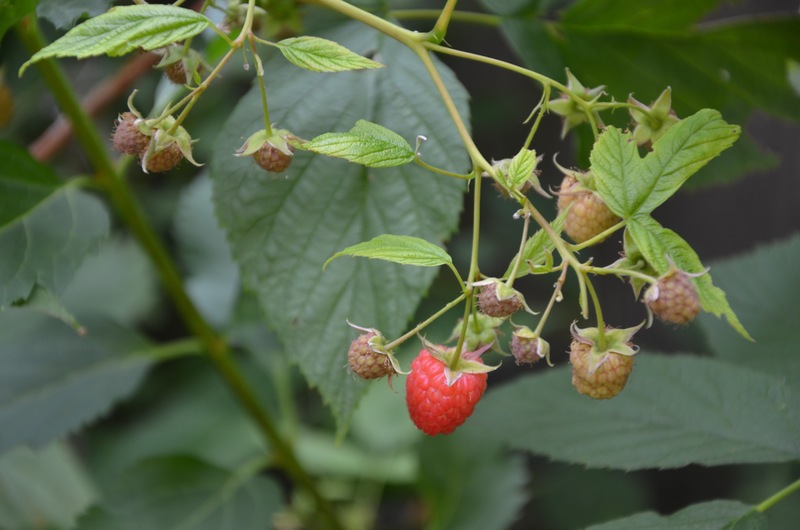 A berry patch needs pruning and care to produce great berries. As a writer, I try to take care of my critique partners by making the critiques I give as thoughtful as I can. It has been just as valuable to be on the giving end of critiques as on the receiving end. Carrie Finison tries to read, write, and rhyme every day. She writes a variety of forms for children and her poems and stories have appeared (or are forthcoming) in Babybug, Ladybug, High Five, and Highlights magazines, and the sports poetry anthology And the Crowd Goes Wild! (August, 2012). In addition, she writes and develops content for educational publishers. She does all this from an ever-shrinking amount of space on her kitchen counter in Arlington, Massachusetts.